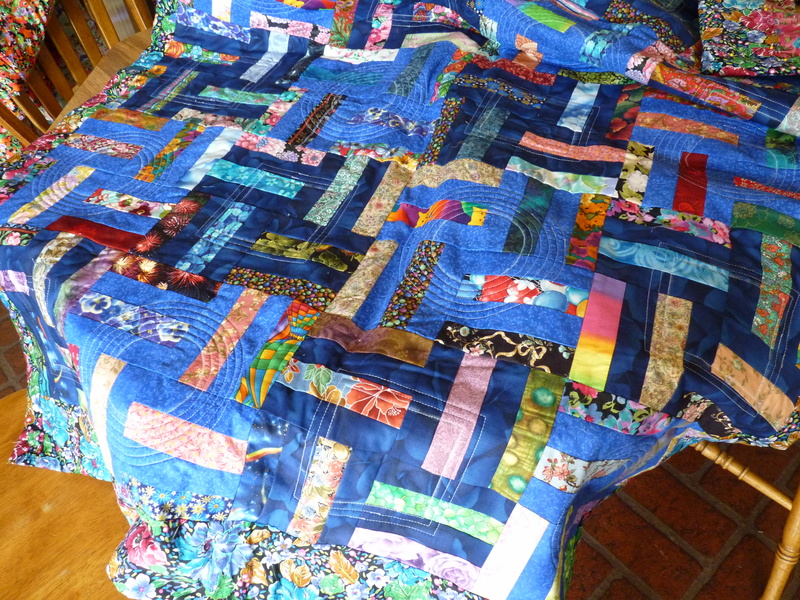 Not too long ago, I completed a rail fence scrap quilt. After seeing it on the sofa for the last few weeks, I couldn’t stand it any longer . . . I spent yesterday cutting all my scraps into MORE rail fence pieces and plan to make another one. I find it fascinating to see how a random combination of fabric can be soothing, interesting, and pretty at the same time. Kind of like people when they cooperate and work together towards a common good. Each one is different and unique yet they all blend together somehow. I like looking at quilts and trying to find a reason for them! I do have a secret incorporated into my quilts. Many of them have a scapular sewn inside. Kind of like sending a little blessing along with the gift. Quilting has taught me patience in spite of my lazier inclinations. I do have to admit that I’m always looking for shortcuts. 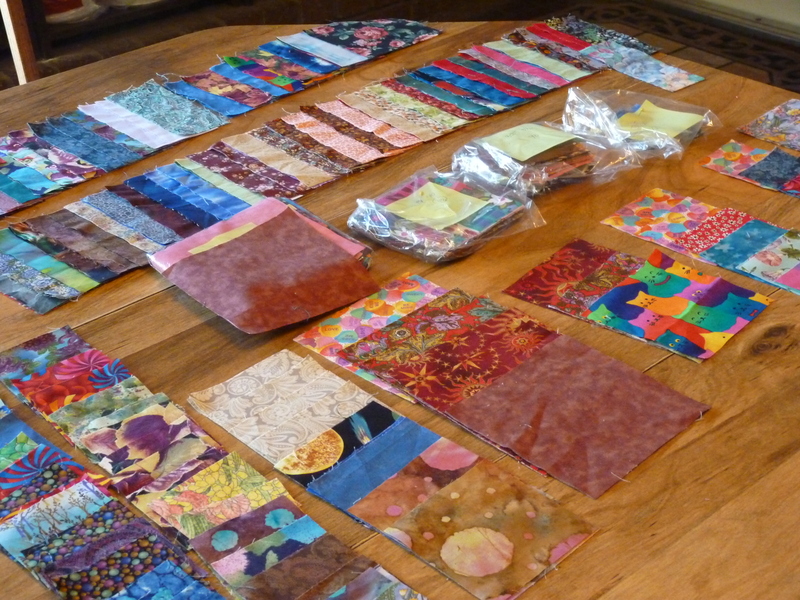 A great site for easier cutting and piecing can be found on the Quilt in a Day web page. Although there is a cost for some of the patterns, they also offer many free ones which include tips for faster cutting and sewing. I tend to find a pattern I like in quilting and make several quilts with the basic plan before my husband suggests I (please!) try another one. Last time, it was the rail fence. I made four quilts with that pattern. Even I tired of it! I have never taken a quilting class so other people might be totally familiar with this method of piecing. That’s okay, I’m still thrilled to have finally found it myself! You take two squares of fabric and line them together, right sides facing. Pin the fabric to stabilize. Using a ruler and a fabric marker, chalk, or pen, draw a line from one corner of the square diagonally to the other. Sew a quarter inch seam on each side of the line. Cut down the line (not either seam! ), open up, press, and you have a square with two perfectly sewn together triangles. My husband once asked me what my favorite tasks were in quilting. I said they were finding a pattern, selecting the fabric, and the last stitch!